I am posting my sister’s notes from the 4th Bull Circle last December 5. 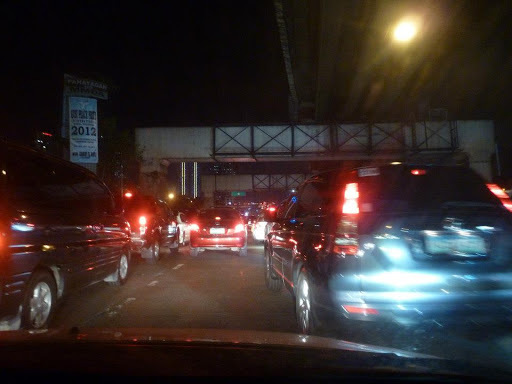 I wasn’t able to attend because I wasn’t brave enough to drive through the Ortigas traffic. Water is usually adequate if you are running one hour or less. Beyond that, sports drinks are needed to provide carbohydrates and electrolytes. 1. Weigh yourself before exercise. 2. Record the amount of all fluids that you take during the run. 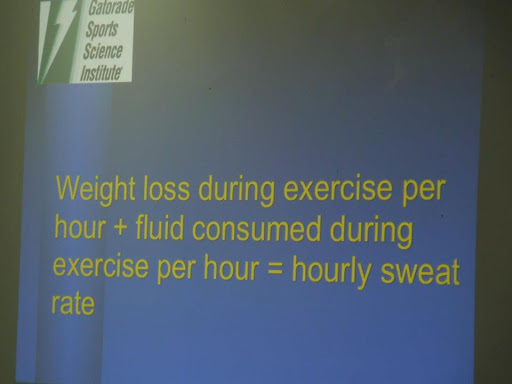 Weight loss during exercise + fluid consumed during exercise/hour = hourly sweat rate. E.g. If your hourly sweat rate is 2 liters, divide that by 4. Drink 500 ml every 15 minutes. For endurance runs, it’s better to use regular Gatorade, not the low-carb variety. Gatorade should not be diluted with water. You shouldn’t add salt either. Buco water is good but the electrolytes are not enough for marathons. Hydrite if mixed correctly with water is ok for electrolyte replacement but it has no carbohydrates. Gels and sports drinks are different from each other. Gels do not replace electrolytes. They are mostly sugar and provide an easily accessible glycogen your body can use immediately. They help prevent hitting the wall (usually at 26-32kms when the body glycogen has been used up). Candies are not adequate for marathons. Take your gels before you hit the wall. While training, you have to practice using your gels and fluids already. Find out what sports drinks they will provide during the run and drink that during your practice. Hyponatremia. Drinking more than you should can also be life-threatening. So start tomorrow. Compute your sweat rate after each run then make a hydration and nutrition plan even for your training runs. Know your feet. Go to a reputable running store and have your feet analyzed. It’s worth the effort. Impact Force = Body weight x 4 (so try not to be overweight). Muscles usually develop more opposite in direction of the strike pattern. Eg forefoot and midfoot have well developed calves. Hindfoot strikers have well developed front legs. Male feet are different from female feet. Shoes are designed accordingly. So if you are female, it’s best to buy women’s shoes. 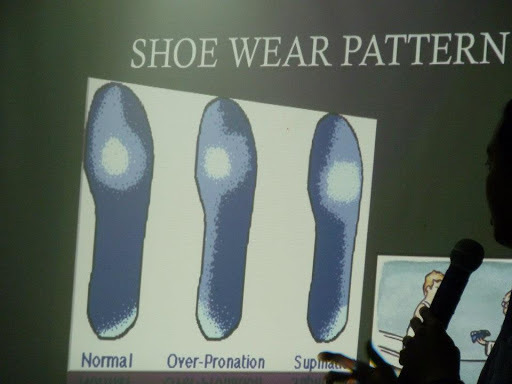 To analyze your foot type, look at the bottom of your shoes, Also the insoles. 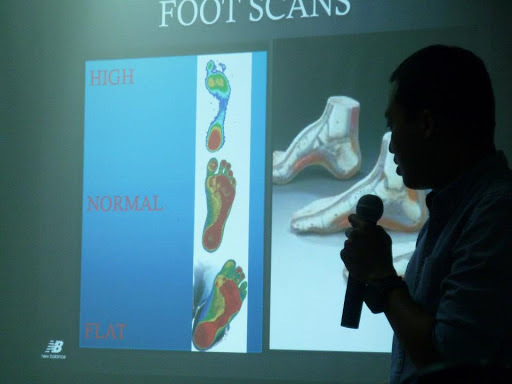 To understand injuries, look at the whole limb, not just the foot. Give yourself time to adapt to your training. Rushing will increase risk of injury. If you don’t put in the time, do not expect to have a good time. Your body will only react favorably to something it has experienced in the past. 1. Trust the training program and schedule given by TBRDM team. Don’t miss the LSD runs. LSD pace = 21k race pace plus 30 seconds. Include hills in your LSD routes. Train in Nuvali at least thrice before the marathon to be familiar with its steel-reinforced concrete roads. Train your mind. Plan what you will let enter your mind before, during, and after the race. 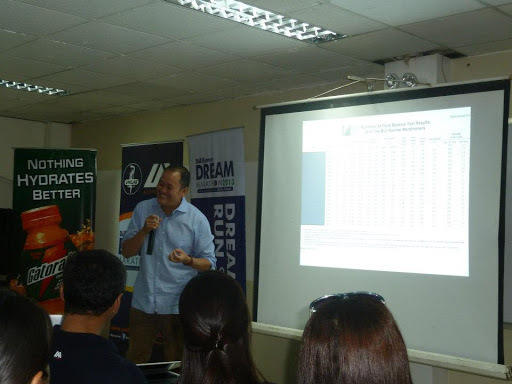 Remember that TBRDM does not teach us how to run fast, but rather, how to finish strong. Plan your pace, hydration, and nutrition. Plan a negative split. Run your second half faster than the first. Run uphills with shorter intervals like 1:1. 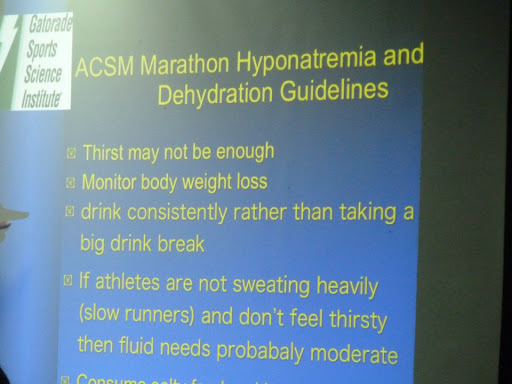 Hydrate (2-3liters/day) three days and carbo load two days before the race. Drink 225ml Gatorade every 15 mins. Power bar and 3pcs gummy bears+water at 7kms. 3. Rest. Relax during the race. Eat, sleep, train well. Focus. 5. Maintain form and smile. Focus on good running form. Smile for the cameras. 6. Know who and what you are running for. Run for a cause that you are passionate about. *Photos and captions by Joy Lim. Notes were taken from TBR 4th Bull Circle as she understood the lectures and not verbatim by the speakers.